With Many Different False Bibles. You Can Trust and Depend Upon! Jack McElroy reveals perhaps the greatest secret in the Christian World today—that every Bible version except the King James is filled with errors, inaccuracies, and imperfections. The history of the King James shows that it is the perfect Word of God. It is, in fact, the only Bible that Christ Jesus Himself would use. For over 400 years God has used this Bible for His church. Once you understand where the NIV, the ESV, the NKJV, and others have gone wrong, you will know the wonderful truth, that God promised to preserve His Word, and He does in the King James Bible. The Bible Version Controversy Explained and Resolved! 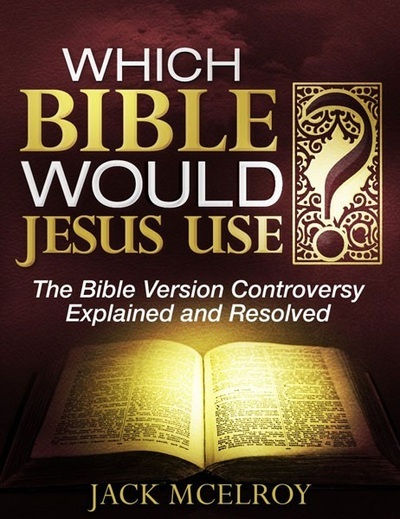 •The NIV and ESV are no different than the different “revisions” of the KJV. •So Which Edition of the KJV is perfect? What about the differences between editions?